The Perelman Jewish Day School board has unilaterally withdrawn its recognition of the union which has represented their teachers without interruption since 1976 and refuses to negotiate a new collective bargaining agreement. Philadelphia Jewish Labor Committee stands firmly with the teachers, their union and the parents and community leaders who have reached out to us as the board violates the rights of the school’s teachers to bargain collectively. This teshuvah draws upon a consistent line of rabbinic authority dating back to the Talmud. The third century Mishnah and Tosefta instructs employers to meet or exceed local custom in terms of wages and benefits, and the Babylonian Talmud gives town residents the right to intervene between a local employer and a worker to insure that wages are fair. In 1945, Rabbi Eliezer Waldenberg, a leading Israeli Ashkanzi scholar and posek (authoritative adjudicator of questions related to Jewish law), recognized the right of workers to organize and to have their regulations and rules seen as binding. He also recognized, in certain conditions, their right to strike. Rabbi Moshe Feinstein (1895-1986), a Lithuanian Orthodox rabbi, scholar and posek, concurred in a series of Responsa that extended Rabbi Waldenberg’s holding to include the right of workers to prevent scabs from doing their jobs and to include the rights of religious school teachers to bargain collectively, even though community funds and the religious obligation to teach Torah were at stake. The Perelman Jewish Day School has based its identity on a fidelity to halakhah (Jewish law) and derekh eretz (Jewish ethics). We call upon the school’s administration to bring this same dedication to its obligations as an employer of teachers who work hard every day to make the institution a center of Torah. Jewish tradition has been clear and consistent — the treatment of workers and their right to organize are among the basic underpinnings of a just society. We therefore call upon the Perelman Jewish Day School to reverse their decision and begin to bargain with the teachers union over the terms of the next collective bargaining agreement. The Jewish Council for Public Affairs’ 14 national member agencies and 125 Community Relations Councils debated and adopted five resolutions expressing the consensus view of the American Jewish community at the JCPA’s annual Plenum in Detroit. The resolutions deal with anti-Semitism on campuses, collective bargaining, education equity, gender segregation in Israel, and hydrofracking for natural gas and oil. This resolution calls for education about and support for the “important remedy” that is now available under Title VI of the 1964 Civil Rights Act and calls on campus leaders to do more to make students safe. It embraces a range of responses to hostile campus atmospheres including dialogue, education, and legal remedies. This resolution continues longstanding support for collective bargaining for public employees and opposes efforts to narrow or eliminate it. This resolution addresses inequity in educational opportunity in public schools. This resolution calls for research, education, and community attention directed to closing the achievement gap in our nation’s public schools and heightening awareness of this issue on the national Jewish agenda. This resolution addresses natural gas and oil extraction by the combination of horizontal drilling and hydraulic fracturing, otherwise known as hydrofracking. The resolution calls for studies, disclosure, safeguards, and oversight. At a time of partisanship and gridlock, Senator Debbie Stabenow, Chair of the Senate Agriculture Committee, discussed her Committee’s bipartisan effort to reauthorize the Farm Bill and ensure aid goes to struggling families in Michigan and throughout the country without waste or abuse. The remarks were made to Jewish community relations leaders and professionals in Detroit for the Jewish Council for Public Affairs’ annual Plenum. Ensuring robust funding for the nutrition title of the Farm Bill, which covers vital programs like SNAP (Supplemental Nutrition Assistance Program, formerly food stamps), has been a legislative priority for the JCPA. The JCPA’s advocacy efforts include the community-based Hunger Seder Mobilization and national leadership in the Jewish Farm Bill Working Group. The JCPA has been actively involved in preventing deep cuts to programs that have kept millions out of poverty and alleviated hunger. I write as a concerned music patron. The recent decision to apply for Chapter 11 financial re-organization sets a troubling precedence in the music world and I wonder how Philadelphia would fare in the end? Since that decision, I have been having weekly conversations with a source within the organization and I was moved to write by our latest chat yesterday. Yes, we can be proud that the Philadelphia Orchestra is one of the top five in the nation (along with New York, Boston, Chicago and Cleveland), but I was amazed to learn that our orchestra also pays the highest salary of all these as well as the highest starting salary for the musicians (at $70,000, an unheard-of amount in the fine arts)! Equally amazing facts to me are: the Orchestra does not perform or rehearse on Sundays; the 12-week vacations that some musicians enjoy; and the contracts that stipulate a full orchestra for each performance, necessitating substitute players and a huge substitute salary payroll. Yes, it does seem prudent to re-think these financial agreements, but what does it mean to throw all the previous years of labor negotiations out the window? Could every other cultural organization take this “easy” way out of financial difficulties? What obligations to your employees (and your paying patrons) remain? But what about the unwieldy 60-member administrative staff? And why are you still interviewing candidates for the following positions (as listed on your website): Director, Foundations and Government Relations; Institutional Giving Coordinator; Group and Corporate Sales Coordinator; Operations Coordinator; and Education and Community Partnerships Coordinator? I do note that the part-time position as receptionist is non-paying. How could you think of retiring Peter Nero, the energetic, two-time Grammy-award-winning pianist and director of the Philly Pops– under the same management as the Philadelphia Orchestra- for 30 years? His much younger colleague, James Levine, has been suffering from debilitating back troubles, but he has been allowed the liberty and respect to choose when to withdraw from his multiple duties as conductor and music director of the Metropolitan Opera and the Boston Symphony. I read in Sunday’s Inquirer that the Orchestra will have an abbreviated season at the Mann this summer, because of its previously planned European tour. Add this fact to the uncertainty over whether there will be a fall season and you leave your patrons puzzled and frustrated. Do remember that Philadelphia lies within an easy commute to New York and even Washington, so some of your music-loving patrons could choose to leave the city for their listening pleasure. While I have your ear, could I also add that the Orchestra’s move to the Kimmel Center has about doubled the ticket prices beyond the affordability of the average family with children? No wonder that your concerts as seen from the stage are often a sea of senior faces with glasses. What are your obligations to your patrons? To nurturing a music audience for the future? If yours were a Jewish organization, I would say shanda for shame. You are a world-class cultural institution, so conduct yourself with world class. Here are some personal reflections on the garment factories in the years since 1911. My mother was a worker in these factories– still sweatshops– until her retirement. My family arrived in the United States in 1967 and, in the beginning, she did piecework at home, but the pay was terrible (even worse than at the factories). When her youngest child (my brother, now a professor of finance at the University of Maryland) started full-day kindergarten, she went to work in the factories. My stories of the unions are not as rosy as in the history textbooks. The bosses kept two sets of timecards for each worker. When the union representatives came by for a visit, the bosses would whip out the “legitimate” ones. My mother chose to be paid by the piece, instead of the hour, because she didn’t want to be henpecked for her diligence (which was good). She trained herself to not use the bathroom on the job because they were uniformly filthy. However, the health insurance benefits from a union membership were invaluable and in her retirement, my mother has volunteered with her union. 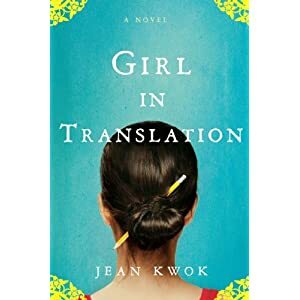 The recent novel by Jean Kwok called Girl in Translation is as accurate to my childhood and upbringing in the world of New York’s garment factories as a novel can be. Until I read her fictionalized memoir, I’d forgotten how the thick dust in the factories settled on everything, getting into all of our crevices and coating our skin. The legacy of the ILGWU, the International Ladies’ Garment Workers’ Union (“look for the union label” was the union song) is long-lasting. My siblings and I all earned multiple degrees: I received a bachelor’s from Brown, a M.S. in Epidemiology from Columbia, and was an All-But-Dissertation Ph.D. candidate in Environmental Epidemiology at N.Y.U. ; my sister earned a bachelor’s from Yale and a master’s in education from Stanford; and my brother also earned a bachelor’s from Brown and a M.B.A. from N.Y.U. In the next generation: my elder daughter just graduated with honors from the University of Chicago, with a degree in Linguistics . One hundred years ago on March 25th, 1911, the Triangle Waist Company in New York City erupted in flames, and the resulting deaths of 146 people, mostly Jewish and Italian women immigrant workers, many of them teenage girls, galvanized a city and a movement. The Triangle fire was a watershed moment in the history of the American Jewish labor movement and social reform. On March 24, 2011, from 5:30 to 7:30 pm, the Jewish Labor Committee, the Jewish Social Policy Action Network (JSPAN), the Philadelphia Council of the AFL-CIO and the National Museum of American Jewish History are joining forces to commemorate this tragic event, honor those who gave their lives and discuss the evolution of the labor and reform movements that the Triangle fire inspired. This incident has had great significance to this day because it highlights the inhumane working conditions to which industrial workers can be subjected. To many, its horrors epitomize the extremes of industrialism. The tragedy still dwells in the collective memory of the nation and of the international labor movement. The victims of the tragedy are still celebrated as martyrs at the hands of industrial greed. Even today, sweatshops have not disappeared in the United States. They keep attracting workers in desperate need of employment and illegal immigrants, who may be anxious to avoid involvement with governmental agencies. Recent studies conducted by the U.S. Department of Labor found that 67% of Los Angeles garment factories and 63% of New York garment factories violate minimum wage and overtime laws. Ninety-eight percent of Los Angeles garment factories have workplace health and safety problems serious enough to lead to severe injuries or death. First Labor Day parade, Union Square, New York, 1882. This year, Labor Day falls during the same week as Rosh Hashana. While Labor Day may be considered by many to be the summer’s last hurrah, or another shopping day, its original purpose was to honor the contribution that the labor movement has made to American society. Just as in the first week of the Jewish “Days of Awe” – from Rosh Hashana to Yom Kippur, when we strive to make amends for interpersonal sins, and hope that we can do better in the year to come – we can and should see Labor Day as a time to reflect, and to become better, by respecting and honoring those who labor. The first Labor Day in the United States was celebrated back in 1882 in New York City, and soon spread to communities across the country. Twelve years later, in the aftermath of the bloody 1894 Pullman Strike, President Grover Cleveland made it a priority to secure legislation making Labor Day a national holiday. It was indeed passed, unanimously, in Congress and signed into law six days after the end of the strike. For more than a century, all 50 states have made Labor Day a state holiday, originally devoted to “the strength and esprit de corps of the trade and labor organizations” of the community. Throughout its history, the American labor movement has been standing up for the needs of working men and women and their families – first and foremost in representing workers at the bargaining table, to secure decent contracts, decent working conditions, and decent benefits. The labor movement has secured benefits for all of us, not just union members – from the fight 75 years ago for Social Security, to the fight 45 years ago to establish Medicare, and most recently, in the struggle for health care reform. It was American unions who led the fight for minimum wage laws, and then for increases to keep up with the increased cost of living. But this is not just about history – it is about today. The struggle to improve the lives of workers is just as necessary today as it was in earlier decades. That’s why the labor movement and its allies, including the Jewish Labor Committee, marched this year on Wall Street to call for government programs that focus on the working and living conditions of all workers, not just the CEOs of large corporations. That’s why this past winter, more than 200 rabbis heeded our call and signed onto a petition vowing to boycott three Boston area hotels until the layoffs of the “Hyatt 100” were reversed; rabbis, cantors, and other Jewish communal leaders are committing themselves to continue the struggle to improve the working conditions of all hotel workers. That’s why we fight against corporations such as Mott’s, that, in spite of earning record profits, are trying to force their workers to accept wage and benefits cuts. That’s why we advocate for comprehensive immigration reform, and march to end the abuses against farm workers who pick our fruits and vegetables, or factory workers who toil in sweatshops to make our clothes, whether they are union members or not. This year, we urge that national, state and local priorities serve the needs of working people as well as those currently unemployed. Especially now, more government spending, targeted to create decent, well-paying jobs, is needed. This year, let us work to pass meaningful government legislation, from a bill to guarantee paid sick leave for all workers to the Employee Free Choice Act. These can make real differences in the lives of working families. The Jewish Labor Committee is committed to doing everything possible to pass this much-needed legislation – and we urge our members and friends to do the same. Standing up for working families encompasses a range of strategies, and a range of possibilities. During 2010’s Labor Day and as the Jewish New Year of 5771 begins, we hope that many in the Jewish community will join us as we roll up our sleeves to work with our partners — in the trade union movement, within the Jewish community, and all who are determined to bring forth a society based on true economic justice and prosperity for all.